Conquering a mountain with skis made of solid rock: it sounds like an inspirational philosophical quote, or maybe a scene from the Flintstones. But for Swiss ski designer Simon Jacomet, it was more like “madness with a focus”. He discovered something that most people thought impossible: under certain conditions, solid granite acquires characteristics that make it brilliant for making skis. We visited the little factory to see how zai turns stone into skis. CEO Benedikt Germanier gives us a warm welcome and a powerful handshake. In 2009, the Swiss followed the reputation of his friend and ski buddy Simon Jacomet back home to Swiss Canton Graubünden. After an international career with a major bank he decided to risk a new start in a world that has always been close to his, and Jacomet’s, heart: skiing. Germanier tells us that when Jacomet founded zai with no less an ambition than producing the best and most refined skis in the world, times were tough. It was 2003, and the ski market had just halved in size. “Since then, skiing has – for better or worse – become an elite sport, especially in North America,” says Germanier. zai decided to concentrate on making very high-end skis. Customers often come to the ski-makers of zai with a specific material. Engineers who work in aviation or Formula 1 ask to have skis made from their own materials. “They want to test new materials and create something unique,” says Benedikt Germanier, CEO of zai. One such customer was Franz-Josef Paeffgen, at that time the CEO of Bentley. He opened up Bentley’s development work to zai. 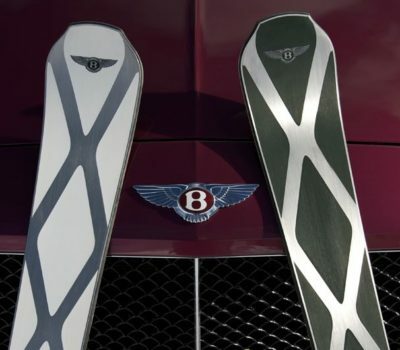 Ski designer Simon Jacomet used a new composite developed for GT racing to make the Bentley Ski. Investigations into the new material turned into a research project in which Bentley itself discovered some hitherto unknown characteristics of the material. “This led to the Bentley Ski, which costed 10,000 Swiss francs, not just because of the Bentley name it carries, but because of all the research that went into it,” says Germanier. The small team at the factory in Graubünden makes around 1,000 skis a year, selling them for between 4,000 and 10,000 Swiss francs a pair. Despite the price, zai is not comfortable with the “luxury” tag. “The first priority is always functional, i.e. to deliver a truly enjoyable skiing experience,” says Jacomet. The skis should simply make skiing fun, and so appeal equally to enthusiasts, perfectionists and connoisseurs. These customers appreciate the difference – in terms of look, but most importantly feel – between these and mass-produced skis. Jacomet followed a rigorously consistent philosophy when developing the skis. 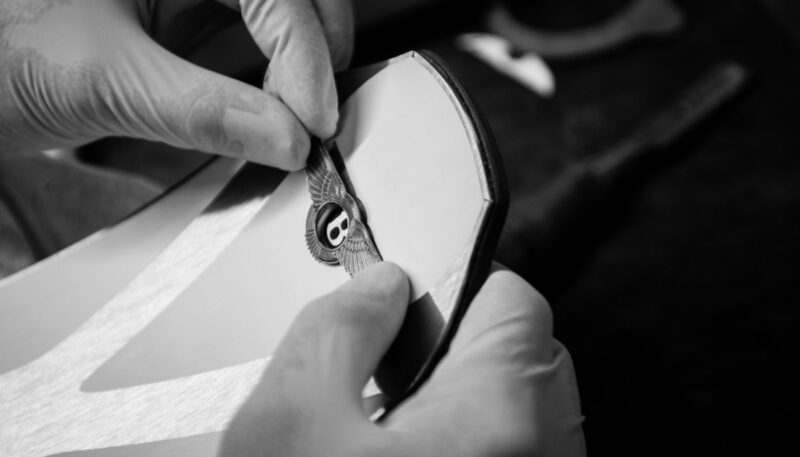 Every single element of manufacture has to contribute the function. Nothing is superfluous. The surface of a zai ski provides the clearest visual evidence of how strictly this principle is applied. No paint, no plastic shell, no colorful patterns. 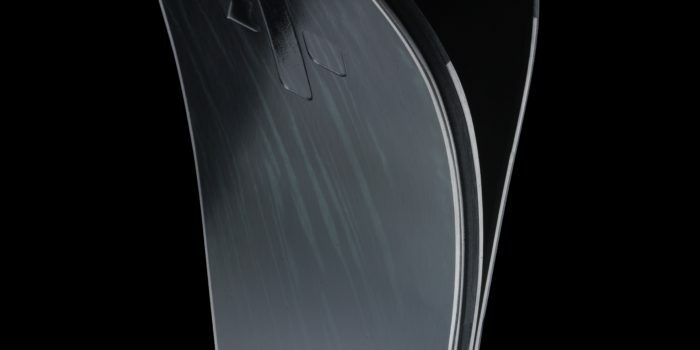 The simple, often uniquely patterned top of the ski is protected by a stainless steel edge and is made, depending on the model, out of walnut, carbon-fiber or cellulose acetate. You can also see the steel or natural rubber inserts that are used to distribute the force and dampen vibration. But there is still room for personalization. Wooden surfaces and natural rubber can be individually colored. In contrast to conventional skis, the surface of zai skis can be serviced and refreshed, so they appear spotless even after years of use. Thanks to their bold design, you may find zai skis not only on the piste, but also in the window displays of exclusive boutiques in Vail, Lech and Gstaad. What really determines the character of a zai ski is its internal structure. 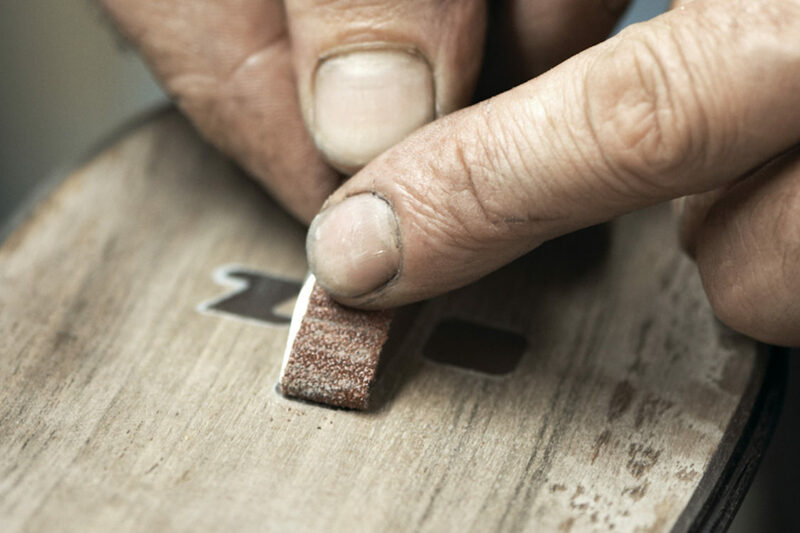 Like any ski, those made in the factory in Disentis are made up of many layers; but a lot more goes into zai layers. 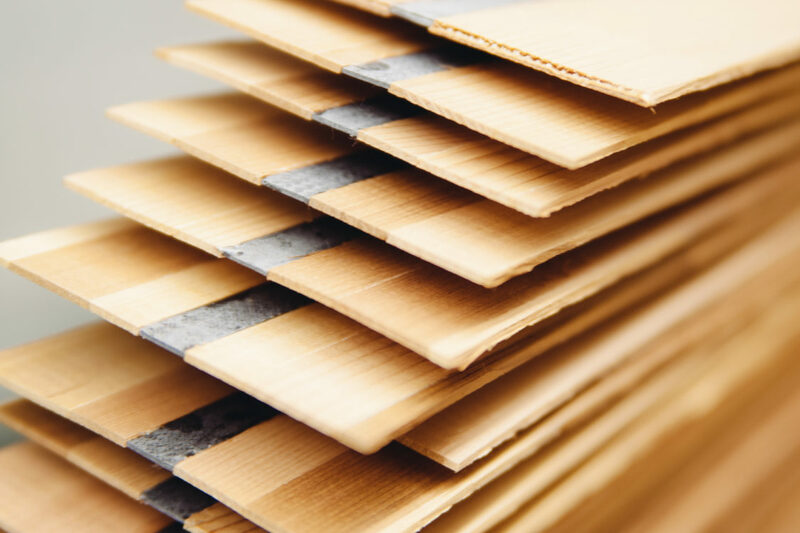 Firstly, the materials used are of particularly high quality. As well as natural substances, zai uses high-tech materials originally developed for the aviation and medical industries, for example. Secondly, it takes about six hours to lay the 60 or so individual pieces on top of each other by hand. This produces the blank, which is then put into a computer-controlled press for 20 minutes at about 110°C. It takes another three or four hours to finish the ski and optimize the coating. Contrast this with mass produced skis, which are made in an hour, but which quickly lose their tension. 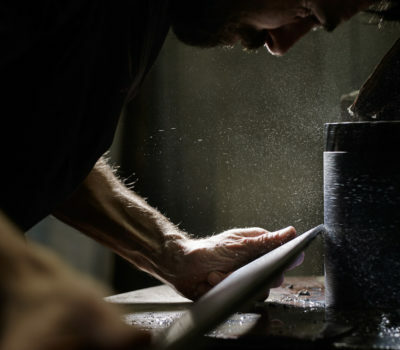 When Jacomet talks about the materials in the skis he designs, his enthusiasm is palpable. He’s constantly searching for improvements; testing and experimenting to see whether a material really will deliver a tangible advantage. “I want a product that impresses in every detail – a product that I’m truly proud of,” says Jacomet. The idea for the stone ski came when the designer heard of a specially coated granite that does not expand or break when heated, making it ideal for high-end induction hobs. But what really made Jacomet prick up his ears was the revelation that this stone, pressure coated with carbon fiber to turn it into “CFS” (Carbon Fiber Stone), could be bent a little. Jacomet tested the CFS, the core of which can be between 30 and 100 million years old. He soon discovered that it is as tough as steel but as light as aluminum. More importantly, CFS distributes energy extremely evenly across the ski. The ski that Jacomet built around this material, the spada, is the best seller in zai’s range, despite its price of around 10,000 Swiss francs. The secret lies in Jacomet’s ability to translate the material’s unique properties into a tangibly different skiing experience. spada owners praise the extreme smoothness of the ride: even on the roughest pistes, vibration is minimized and control remains good. The qualities of the granite ski may be surprisingly easy to feel, but they are not easy to create. After all, a ski is more than just its core; it’s a whole package created from a blend of material, form and craft. The whole thing can be thrown out of balance if just one element changes. This is where the intuition of an experienced ski maker comes in, especially when a successful ski like the spada is being improved still further. The stone ski has just been given a new cellulose acetate coating. Flexible but firm, the smooth, individually patterned texture gives an even classier look and makes the ski more robust overall. Jacomet wrestled with the material for seven years before finding the best way to use it in skis. Customers can clearly see and feel the difference. Before convincing customers, however, Jacomet always has to persuade each of the zai employees that his innovations make sense: “Everyone has to agree with the idea, so the whole team, all of them passionate skiers, is properly motivated.” This is not always easy, Jacomet admits, but he knows it’s the only way to ensure the skis will meet the approval of customers too. For customers, the technical details are largely irrelevant; the important thing for them is that the skis unlock a certain experience, a particular passion. “There are people, who come here by helicopter and help make the skis. But there’s also the trainee from a sports shop who saved up for months and then for her twentieth birthday came and made a testa for herself. 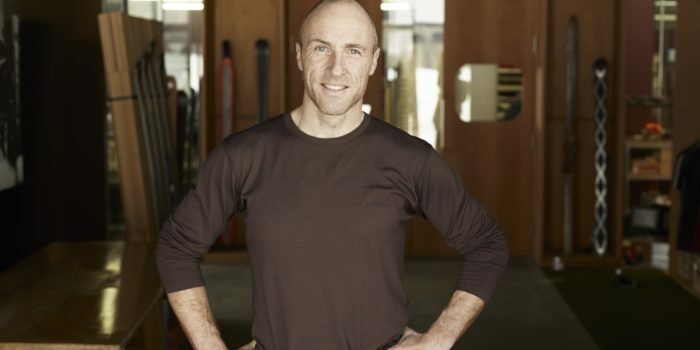 In both cases, the customer brings a passion for the product and for skiing,” says CEO Germanier. He sees testing events for customers as a very important experience. They are opportunities for the interested customers not just to test out the different models, but to become part of the development team for a day. They can experience the different ski concepts themselves, and pass on their impressions to zai staff. The feedback is an important guide to which of zai’s innovations skiers actually appreciate, and what will help make their skiing even more enjoyable. It’s a kind of crowdsourcing for product development. For zai, it’s simply an expression of the uncompromising philosophy of using unique skis to give skiers the maximum possible enjoyment and happiness.